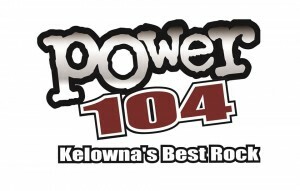 Power 104, known on air as CKLZ-FM, is one of the best Canadian channels and is broadcasting in Kelowna, British Columbia. The channel got on air for the first time in 1964 and is acquired by the Jim Pattison Group. CIBW, CHBW, CKLR, CKQQ and many others channel are acquired by the Jim Pattison Group and are sister channels or sibling of The Power FM 104. The slogan of the channel is “Kelowna’s Best Rock” and as it name suggests, it plays top charts and numbers from the Active Rock format at 104.7 MHz (FM). The Bob and Jazz Show is one of the notable and prominent shows of the CKLZ-FM featured by the Jasmin Doobay. Rock Vault is considered as the biggest radio contest of the Canada and it is now back on the Power 104.7. Find out the hidden clues in the Rock Vault Videos and participate in the contest by entering live on location. Wait for a just a moment, stream of CKLZ-FM will be played in seconds. The locals of the Kelowna, British Columbia, can receive the channel on their radio stations by tuning their dial of the radio to 104.7MHz. Whereas the worldwide listeners have an option to listen Power 104.7 FM live online streaming from the 104 FM Kelowna. The official site also features other options like calendar and other details of the community events and Kids Care section. You can also have access to the Power features including Power TV, Smartie Pants, New music review, Power Tracks, Sue Tyler Party, business spotlights and many others. From the website, a visitor can win free stuff by participating in live insider contests, Rock Vaults and can read the contest rules. Fans can follow the CKLZ-FM on Facebook, Twitter, Instagram, Soundcloud and Youtube. You can download the app on the Apple devices from the Itunes. See the sponsors of the channel from the official site, and sign up to explore more. You can also see the now playing and the playlist of the Power 104.7 FM.